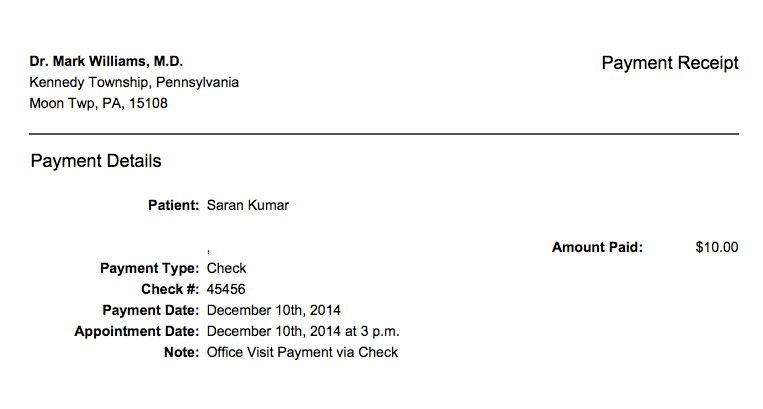 When a patient makes a payment via check, this payment type will be reflected on the printed receipt. 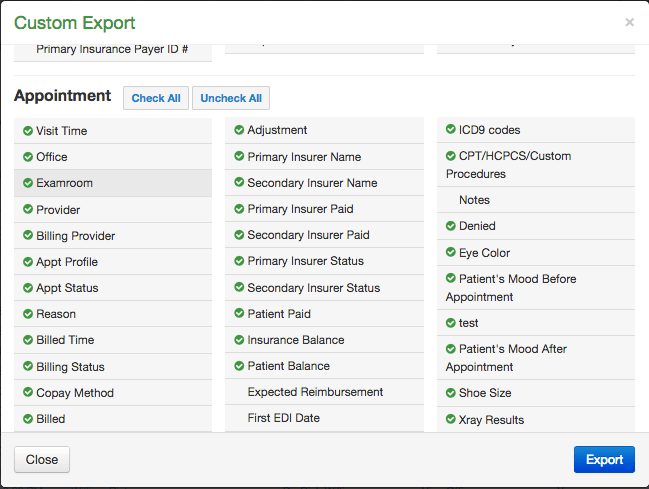 In the advanced report, a provider can now export an appointment’s exam room information into a spreadsheet. A provider can now export their patient statement list into a spreadsheet (CSV). Our system will show you which insurance a claim was crossed over for within the “coordination of benefits” in the live claims feed. In the live claims feed, a provider can now enter hospitalization information, including admission and discharge date, for the appointments scheduled in the office under facility code 24. Our system now allows providers to submit zero dollar claims, after they have already been paid globally for a surgical procedure, just to indicate the service to insurance. When providers update their profile picture in their account, the patients will see the update in their patient portal.